When your mind is busy handling events during the day or worrying about what you will have to do the next morning, it will be very difficult for you to have a peaceful sleep. Meditating, relaxing or taking a warm bath … are things before bedtime that will help you sleep well. Nightwear, breathing equipment, fragrance, smart music … are modern technology gadgets that help users sleep well, improve health. Smart sleepwear: UnderArmour’s Athlete Recovery Sleepwear offers some interesting features that help users get a good night’s sleep. Specifically, with biological printing technology on special fabrics and dry moisturization systems, this clothing will make the body recover faster, enhance deep sleep and improve health. Smart breathing device: 2Breathe is a device that helps users breathe “have practice”. With a respiratory sensor that comes with a control application, this product will match your breath with the music, reduce fatigue and lead users to deep sleep. 2Breathe automatically turns off after 10 minutes. 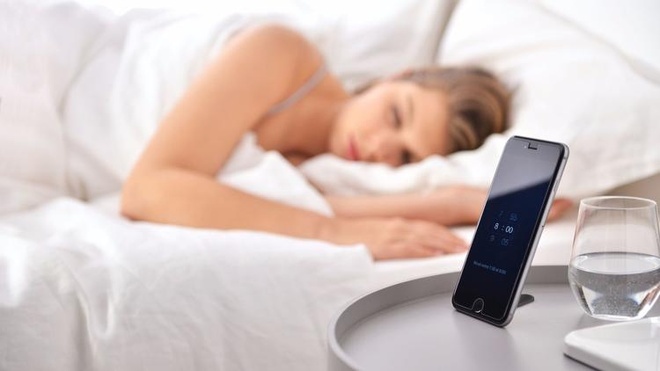 Smart scent: Devices like AromaCare, Sensorwake Oria use mixed fragrances such as lavender, peppermint, lemon, eucalyptus, orange or rosemary to promote sleep or make sense Relax, rest, remove fatigue for users. Smart music: Similar to the music listening application that promotes Sleep Genius sleep, NuCalm uses binaural rhythm to help relax the nerves. This sleep enhancement and health kit includes control software, Bluetooth headsets and masks for $ 89. 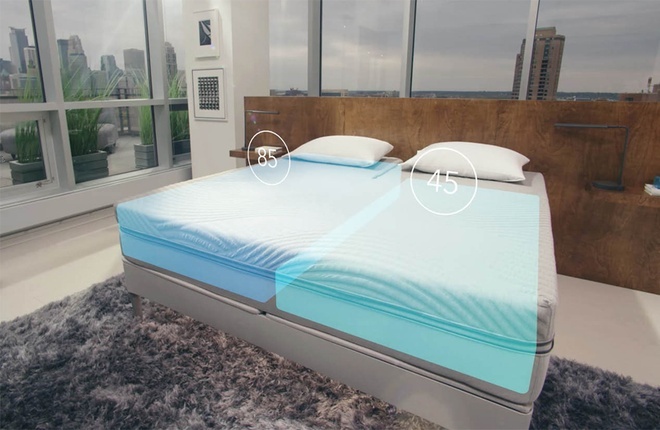 Smart Pillow: With sensors that record body movements, sleep patterns and ambient noise, Advansa 1 X21 connects the above elements to the pillow, improving the quality of night sleep. In addition, with the bundled software, it can provide good sleeping tips and alarms via phone or tablet. Smart bracelet: Bringing the health monitor into titanium bracelets, Motiv can track user activity, heart rate, footsteps, calories and sleep. The device has been synced with the smartphone app. Motiv bracelets can be recharged via an electromagnetic charging stand.